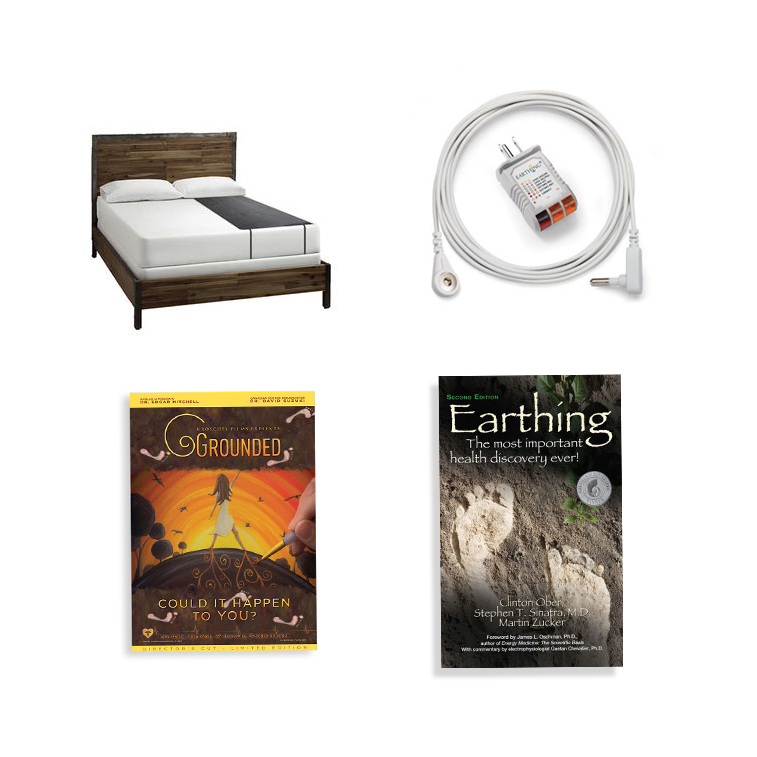 Enjoy a deeper sleep and wake up feeling refreshed with The Ground Therapy Sleep Mat. The updated Sleep Mat is designed with a thinner, perforated 100% conductive carbon leatherette that feels great with direct skin contact or becomes nearly unnoticeable from under your fitted sheet. The Small Sleep mat is designed for a single person from head to toe, and will cover the entire area of the body. The conductive side is the smooth, leather-like material and should be placed up, nearest direct skin contact as possible. Use the straps to secure the mat directly to your mattress over or under your fitted sheet. In order to use your Sleep Mat you must connect it to the “ground port” of a grounded 3 prong outlet. Before plugging in your Mat, you must check that the outlet is grounded by plugging in the outlet checker. Two amber lights illuminated is GOOD and means that you have a proper ground and you are ready to connect your Mat. If you have any other light combination it means your outlet is NOT properly grounded. If that is the case, you can use the Grounding Rod in the optional step 2. 2. Run the cord from the Grounding Rod, under or around a window or door, near where you will be using your Grounded Mat. 1. Use the straps to secure the mat directly to your mattress over or under your fitted sheet. 4. The mat is conductive on the leatherette side. 2. Plug the Earthing cord from mat into one of the two splitter receptacle ends. The other end of that cord is snapped onto your Mat. 4. Place the Continuity Tester flat on the Mat. The round metal plate must be in contact with surface of the Mat. Press firmly on the mat to obtain a good contact. Press and hold the “test” button for a minimum of three seconds. A green light means that the mat is in working order. In unlikely case that no green light comes on, the product may be defective or has lost conductivity and should be replaced. Sometimes people have difficulty testing their products. If the light doesn’t come on, place one hand on the Mat while holding the tester in the other hand and with one finger on the silver button on back of tester. A green light would show that the body is grounded when touching the mat. Make sure that both the tester and the product are plugged in to the ground, as described above. The reason for perhaps the light not going on: you aren’t pressing hard enough on the tester. The pliant surface of the skin, unlike the hard metal button, will bend around fibres and make good contact. You can also put some moisture on your finger tips to create a better contact. 6. Re-insert Earthing cord from mat into ground connection. To clean the mat, simply wipe down with a damp cloth. Do not machine wash.